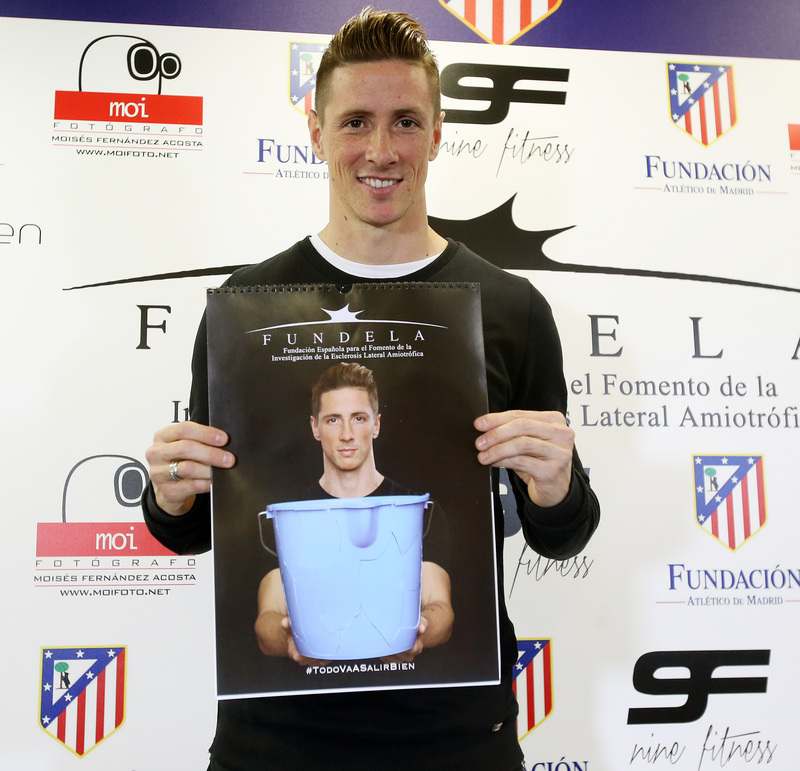 Today Project MinE’s ambassador Fernando Torres has presented in Madrid the new calendar he promotes to raise funds for FUNDELA (Spanish foundation for ALS/MND research) and ProjectMinE. The presentation took place in Atletico de Madrid stadium with the participation of the president and vice-president of FUNDELA, Dr Jesús Mora and Dr Maite Solas, the president of the Atletico de Madrid Foundation, Adelardo Rodríguez. Several Spanish celebrities and sport journalist have participated in the calendar including Real Madrid players James and Pepe, and several well-known Spanish actors. In the press conference the Spanish international and Atletico De Madrid player explained that he knows very well about ALS since his friend Carlos Matallanas was diagnosed.